C.E. Smith Dou­ble U-Bolt Brack­et deliv­ers the stur­di­est, most rigid, and most trust­ed brack­et in the marine indus­try for boat trail­er bunks; tim­ber or plas­tic. 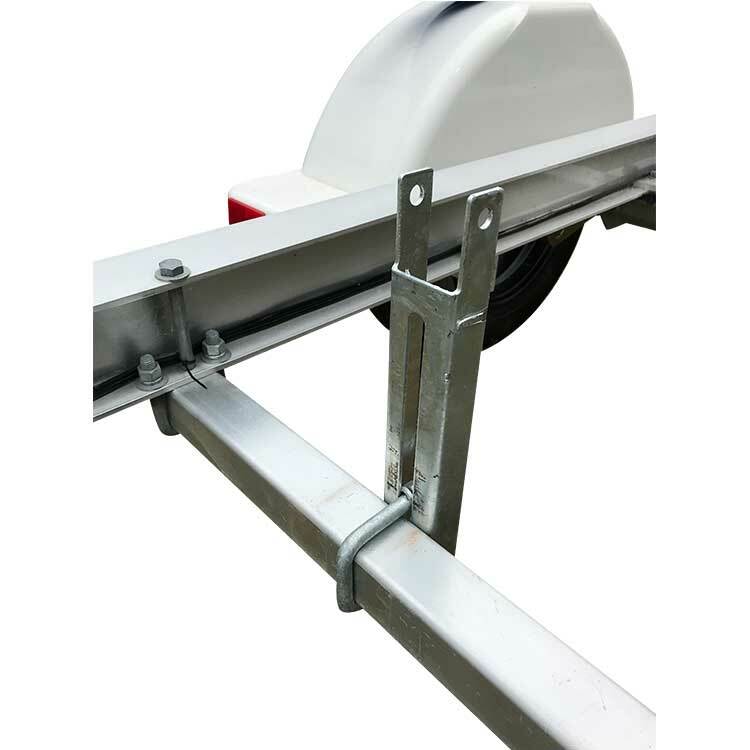 This boat trail­er bunk brack­et is 7-gauge, hot-dip gal­va­nized steel con­struc­tion & gives this mount­ing brack­et the high­est hold strength of any brack­et its size, specif­i­cal­ly for heavy load boats. The C.E. Smith Dou­ble U-Bolt Brack­et brings 1/2“W slots 1–3/4″ apart with a 1/2″-dia. top hole for a swiv­el brack­et. Dimen­sions: 8–3/4“H x 4“W.